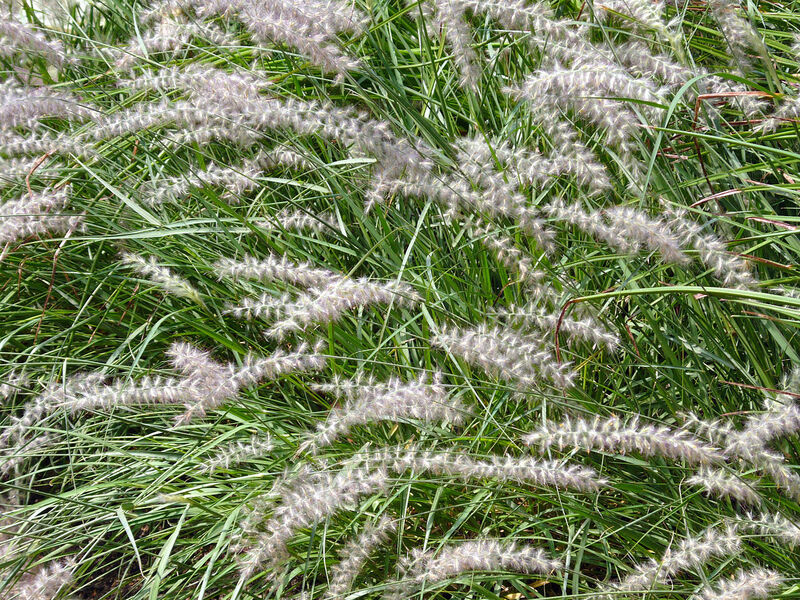 Oriental fountain grass is a mound-forming, densely tufted, and deciduous perennial plant. 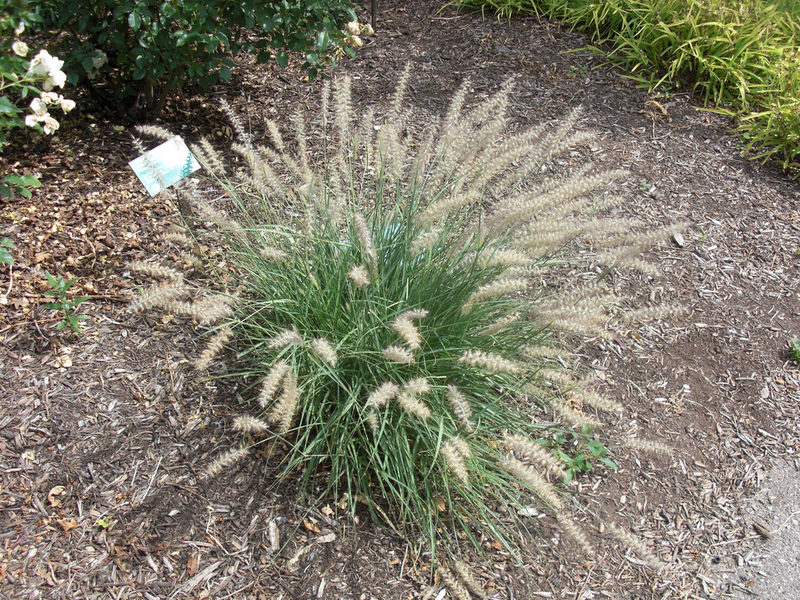 Similar to green fountain grass, it has upright or arching, narrowly linear green or gray-green leaves, and showy, pinkish plumes that last from late spring to fall. It is deer resistant and does best in well-drained soils. Cut it back in the winter for best results in the spring. Seldom self-sows and spreads slowly through rhizomes. 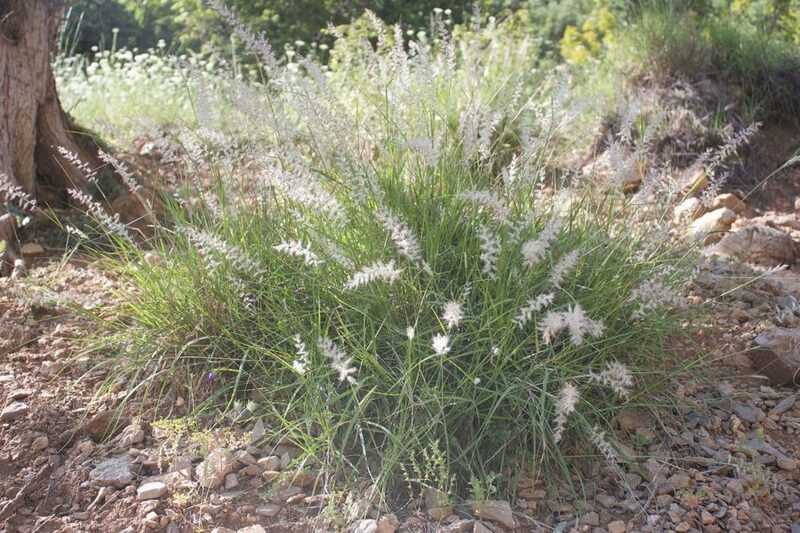 Use as a standalone specimen or in mass plantings. Great for edging a path. 'Karley Rose' cultivar has deeper green foliage, darker, rose-purple flowers spikes, and has a longer bloom period, extending into September. Hardy to USDA zone 5a. Parent species is hardy to USDA zone 6.